These pages are no longer updated by Screen Australia. Use with caution as methodologies may have changed and revisions may have occurred. Ongoing data may be available from the original sources: see Other data sources. 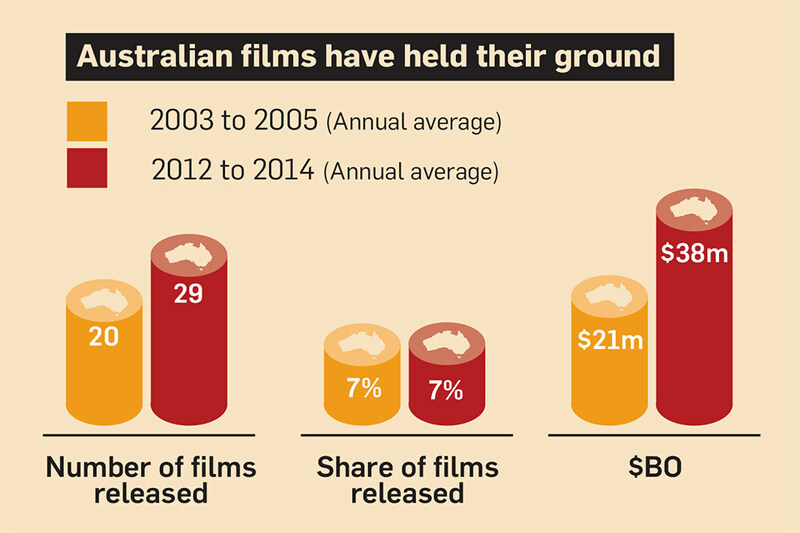 10 years ago there were 33% fewer films competing for similar numbers of screens and seats. Get the low down on what's changed from 2003 to 2014.